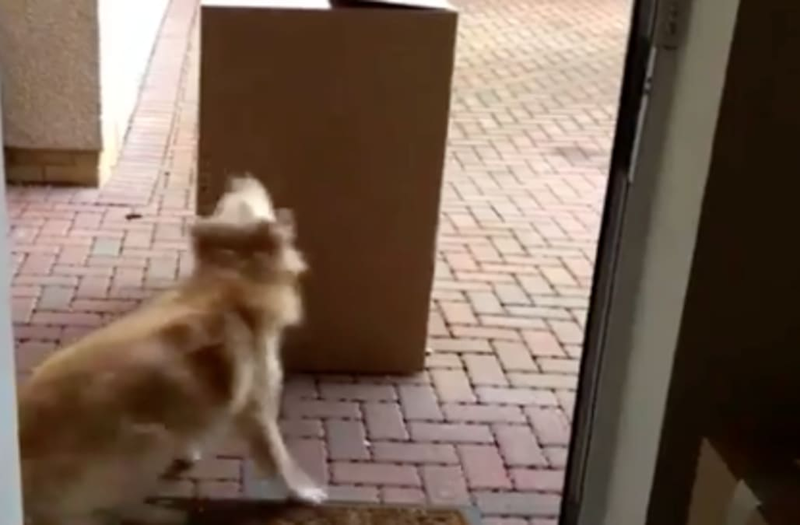 Sandy the dog couldn't have been more excited to see her owner pop out of a cardboard box when she returned from overseas. "[I] always enjoy the surprise reunion I share with my dog," her owner said. She had flown back to Scotland on vacation and decided to go the extra mile to make her dog's day.